In the coming months, our representatives in Sacramento will have a decision to make regarding the future of the sharing economy. Will the millions of Californians who work as independent contractors for companies like Lyft, Uber, and others be able to have the flexible work schedules we need to manage busy lives while providing for our families? Will we be able to continue deciding to work when and where we want — and as often or as little as we’d like? Being a veteran of both the Army and Marine Corps, I was used to constantly moving. But my first civilian move to San Diego was an entirely new challenge. As a single dad, I had the pressure of a new job and trying to make ends meet while making sure I was there to care for my son when he needed me. I am fortunate to have a good position as part of the support staff for the San Diego Unified School District. But more often than not, my salary simply doesn’t cover everything my son and I need. That’s why I count on being able to supplement my income as a Lyft driver when I need some extra cash to pay the bills. Right now, I drive when I want, working my schedule around my full-time job and my five-year-old son’s needs. That could come to an end due to a recent ruling from the California Supreme Court that redefined who can be considered an independent contractor. Under this new rule, Lyft and Uber drivers like me would be forced to become employees of the companies rather than simply using the app to work for ourselves. I chose to drive for Lyft rather than looking for a regular part-time job specifically because it allowed me to make my own schedule. When money is tight or I have free time, I can jump in my car and start earning without having to ask permission or negotiate a schedule with a boss. It also means when my son has a baseball game or is feeling sick, I can be there to cheer him on or care for him. This is true because I am an independent contractor without the obligations of a set shift. That will all change unless our legislators pass legislation that makes it clear that rideshare drivers work for ourselves, not as company employees. I am not the only one who will be negatively impacted if the legislature doesn’t act. Lyft recently shared a survey they put out to drivers to learn a little more about who they are and why they drive. The response was clear. A full 95 percent of drivers responded that being able to work a flexible schedule was very important to them, with 44 percent stating it was the main reason they choose to drive. 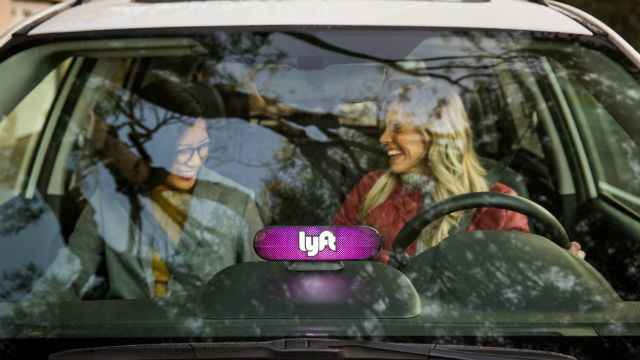 Some 63 percent of drivers have other jobs and use Lyft to supplement their income. These are all Californians who would be negatively impacted if we’re forced to become employees rather than continuing to be our own boss. I urge our elected officials listen to rideshare drivers like me who want to remain independent contractors so we can all continue to benefit from the ability to share a ride. Frank Cruz, a Carlsbad resident and military veteran, drives for Lyft.